SofaConcerts: None is like the other. But all SofaConcerts have one thing in common: They are very special! None is like the other. But all SofaConcerts have one thing in common: They are very special! So where does this fascination for living room concerts come from, Matt? I realised that I wasn't enjoying the bar gigs like I used to. I'd become tired of the music industry. I used to play noisy gigs where nobody listened, so I switched to only doing gigs where you had to buy a ticket to get in. Then I realised that nobody was buying tickets and I was cancelling shows all over the place. I became really upset with how things were going in my career until I moved to Germany and found SofaConcerts. It seemed to answer all of the prayers I had as a musician...listening audiences? Yup! Am I able to make a living out of it? Yup! Does it spread my name around the country so that I can return with my band and do a 'proper' gig somewhere nearby? Yup! Am I playing to open minded, friendly people who are there to listen to music? Yup! Can I play my own music and will people be happy if I don't play any covers? Yup! But where is the difference between a SofaConcerts and a normal gig? I always get nervous though, at SofaConcerts, at normal gigs, at festivals... wherever really. I just get nervous. But being in such a small space with people so close and watching and listening to your every tiniest move is quite different to a normal gig. Additionally, people are engaged, enthusiastic about new music, friendly and open minded. They are always interested in listening to my music. You are on a very tiny space, sharing all of your feelings with people you haven’t met before. That’s great! 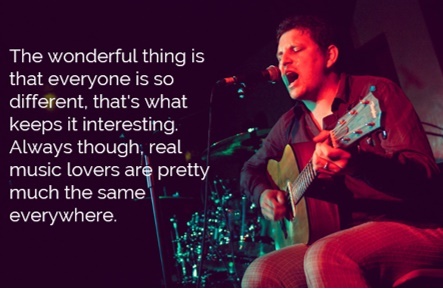 And all concerts have something in common: They are very special. There is always the possibility to talk to the hosts, to get in a deep contact with the guests and you always share a little bit about yourself with all of them. Some hosts are a little bit nervous before their first concert. They fear that their living room is not big enough, that they can’t live up to the artist's expectations… Can you put them at ease? Yes! First, have a glass of wine, maybe two. Then all you have to do is realise that, if someone has a profile on the SofaConcerts website, it means that they want to spread their music and their name around Europe. 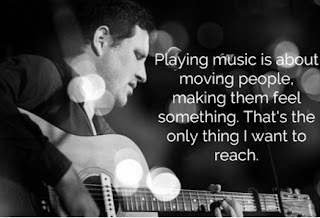 Real musicians who don't spend their lives on facebook and the internet, are happy to make connections with people, no matter how big or small the living room and no matter how many people are there. 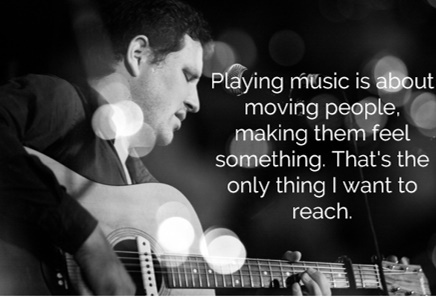 Playing music is about moving people, making them feel something, that's the only thing I want and I don't have any expectations from the host. There is one last question we really had to ask: Is there anything true when talking about German clichés? Thank you Matt for sharing your views and experience with us!